Podkin One-Ear is a story about three little rabbits on a big adventure. Ok, stop right there. If you are thinking of fluffy bunnies in blue coats trying to get vegetables from Mr McGregor’s garden, you couldn’t be more wrong! These are brave rabbits whose parents have been killed in their very own warren and they have to travel throughout the land and battle the frightening Gorm with just a handful of friends. Paz, Podkin and Pook are driven from their home by the hideous iron and flesh rabbits who want to take over all of the warrens. Whilst they are on the run from the Gorm, they have many adventures and end up having to fight for their lives many times. I wasn’t so keen on reading the book at the beginning, but then I seemed to get to a point where I couldn’t put the book down and had to keep reading till the very end. It’s cleverly written and has a good twist at the end. 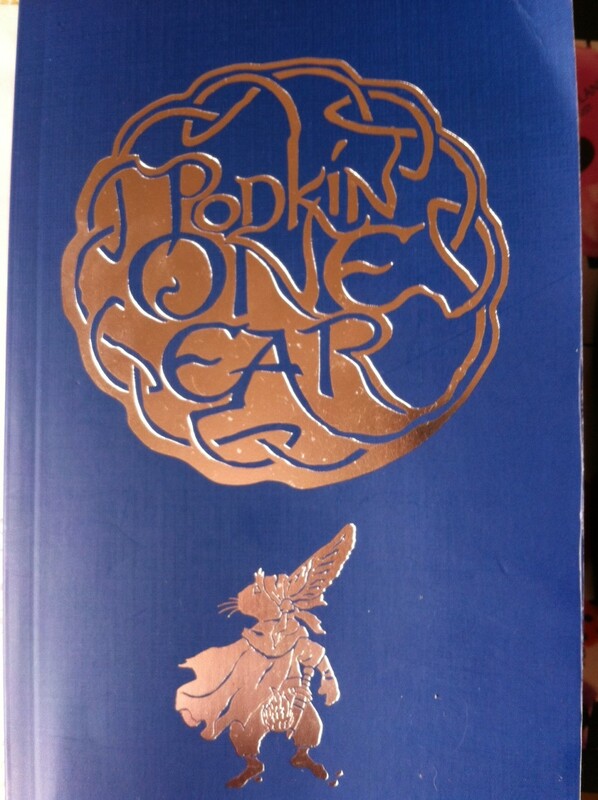 I really want to read the sequel now and read about the many other adventures of Podkin One-Ear. There could be so many other books. Whilst this is no Watership Down, my little brother now asks me every night for me to tell him about The Legend of Podkin One-Ear and I think it will be a story that we will both remember when we have grown up. This book was sent to me as a reviewers copy and you can get your hands on it in October 2016 when it is published.